Looking south down the pedestrian path. Because of the location of the utility poles, it was necessary to bring the path closer to the guide rail than planned. 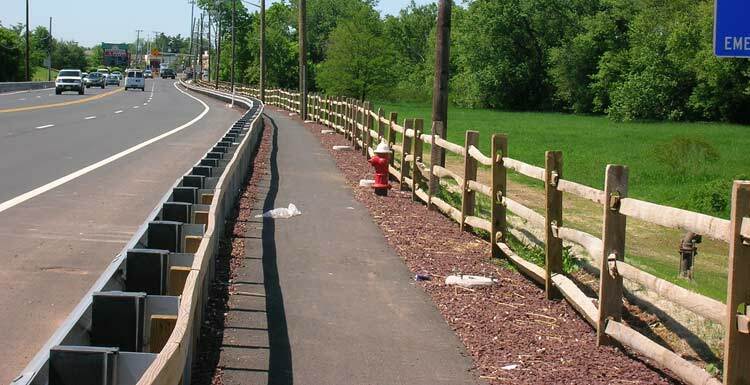 A timber rail was added to the back of the rail to protect pedestrians and bicyclists from possible injury from coming in contact with the posts.